The sun rose bright and early over the capital, on the morning of November 26 — a pleasant day with which to close off the weekend, for sure, especially for those with blood of a higher-octane than most. 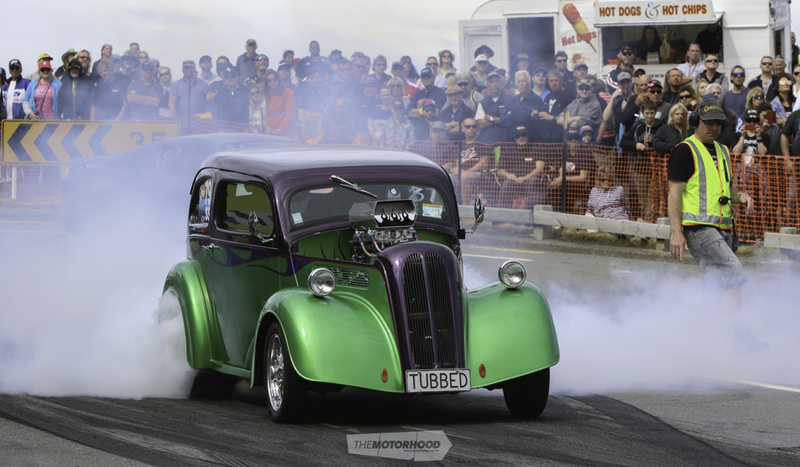 Yes, that’s right — as dictated by tradition, the final Sunday of November is akin to a religious holiday for petrolheads throughout the lower North Island, playing host to the annual BurgerFuel Port Road Drags. The year of 2017 marked the 51st anniversary of the Cam County Inc event, and regular readers should be aware that what really marks the Port Road Drags as special is the unbelievable track record (pun not intended) the event has enjoyed in having never been cancelled or postponed due to rain in its half-century lifetime. As the event moved through the years, so, too, has the vehicular contingent that comprises its ranks. Modern knowledge and technology, as well as the abundance of go-fast bits, sees power levels that are positively stratospheric compared to when the event first took off. As such, there are a few ground rules as far as the racing goes — most notable being the 6.50-second breakout rule. Yep, that’s 6.50 seconds down an eighth-mile asphalt road, and a handful of the day’s toughest cars would be right on the edge of either setting the quickest permissible time and breaking out of competition altogether. 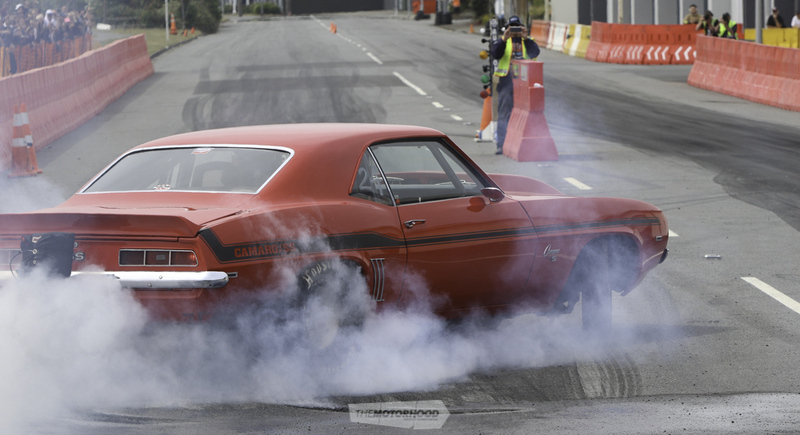 We’re talking vehicles like Tristan Teki’s intense 540ci big block–powered Impala, Darren Riches’ 540ci big block–powered Ford Pop, Dan Southall’s impressive ‘PRO406’ Camaro — a regular attendee up from Canterbury — and Gary Bogaart’s eight-second XB Falcon down from the Auckland region. The makeshift drag strip down Port Road, in the industrial suburb of Seaview, is a far cry from the prepped and mirror-smooth surfaces of a proper strip, and that’s the appeal of an event like this. There’s something about being able to fry the tyres and punch the gas pedal through the firewall on a stretch of public road that would normally be speed limited. And what a sight it makes for! 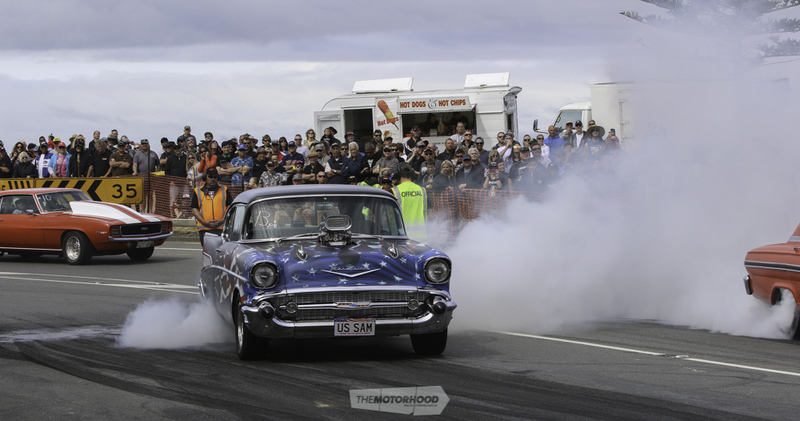 Check out the gallery below for a bunch of shots from the event, and make sure to grab a copy of NZV8 Issue No. 153 — our MASSIVE summer edition — for the full article.